The present-day Republic of the Congo, was colonized by France and turned into French Congo as early as 1880 and later renamed to Middle Congo. In 1908 Middle Congo, Chad, Gabon and the present-day Central African Republic were united to form French Equatorial Africa. The union existed till 1958, when it was dissolved to its four constituent parts. Every part became an autonomous colony within French Community and followed its own way of further development. Middle Congo saw numerous reforms, one of them was gaining autonomy on November 28, 1958. 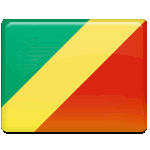 At the same time the name of the state was changed to the Republic of the Congo. Anniversary of this event is annually celebrated in Congo on the national level. The day of celebration starts with memorial marches, organized in remembrance of the events and the heroes, who led the nation to its independence, and ends with celebrations, scattering across the country.